Clean tires one at a time, when completely cool and dry, and out of direct sunlight. Please refer to packaging for safety tips and usage recommendations before cleaning. Cool wheels can make or break the look of your car. But today’s intricate wheels can be hard to keep clean. Your tires go through a barrage of brake dust, traffic film, and road grime every day, which are often difficult to remove. 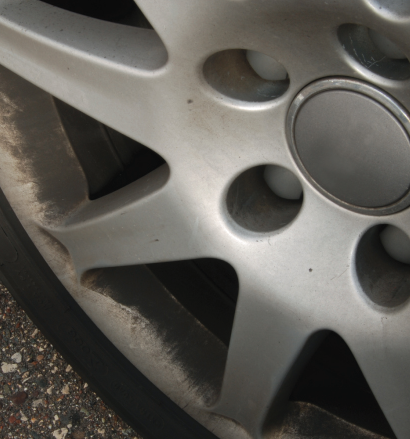 Sure, household products like soap and water can clean wheels. But if you really want those wheels to shine and look like they just rolled off the showroom floor, use Super Clean’s All Wheel Cleaner. The first step to cleaning your wheels and rims is to know the material. Steel rims are the most common rim material. 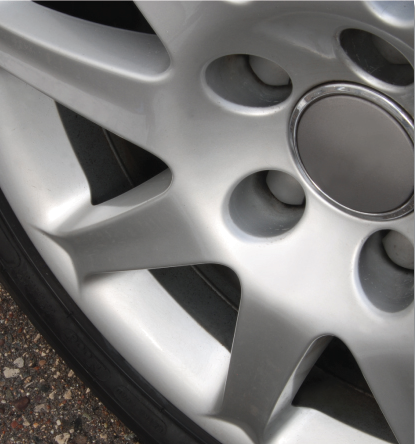 Often coated and covered by a hubcap, these are strong compared to other wheel materials. Super Clean works great on steel. Another commonly used rim is aluminum alloy due to its versatility and good looks. But aluminum alloy wheels are tricky to clean; the material is much lighter than steel and has a tendency to oxidize. That means you need a wheel cleaner that’s powerful enough to remove stubborn dirt, grime, and brake dust, but gentle enough to keep the material from pitting. Aluminum alloy wheels are a perfect match for Super Clean All Wheel Cleaner. Use Super Clean All Wheel Cleaner at full strength and Original Super Clean at a 4:1 concentration. Follow the usage recommendations.